From 9 a.m. to 5 p.m., seven Honors staff members work in the Infirmary building to advise Honors students, plan events, counsel Honors student organizations and better the 58-year old program. Of these staff members, advisor Miranda Sims is the newest addition and business manager Fran Green has been working for Honors the longest. Miranda Sims outside the Infirmary. Photo by Steph Strickland. 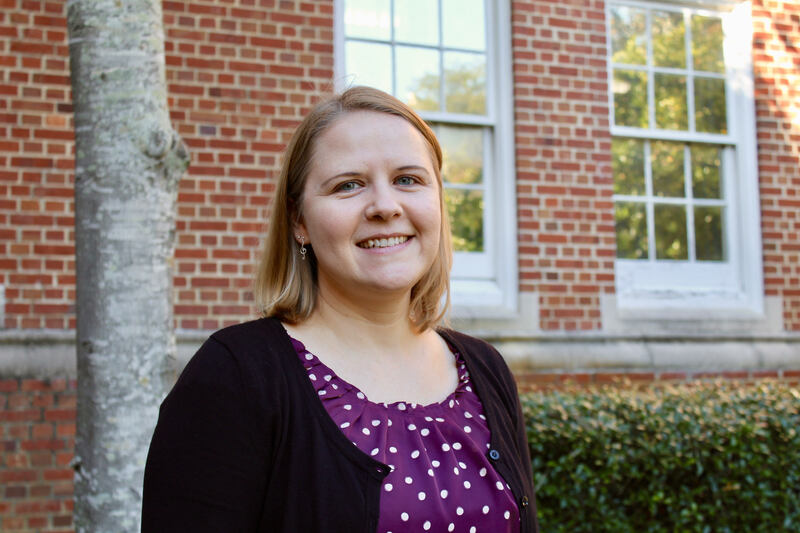 Miranda Sims joined the Honors staff in November 2016. Prior to becoming an Honors advisor, Sims received her Master’s degree in Music from the University of Florida and then worked as an academic advisor and career coach for Heavener School of Business’ Online Business Program. Although music is not the focus of her job, Sims said the skills she acquired from her degree come in handy every day. Sims’ favorite part of the job is getting to know students. Sims said she prefers certain aspects of her new job over her old one. “This is just a very different environment, because it is less phone and email and more actually seeing students,” she said. Fran Green outside of the Infirmary. Photo by Steph Strickland. Fran Green, who after 15 years of service as the Honors office manager, has worked in the Honors office longer than any other staff. Green has many responsibilities in the office, including accounting and handling fiscal matters, but she said interacting with Honors students is her favorite part of her job. As for tips for current Honors students, both Sims and Green agree that a key to student success is to take advantage of the opportunities exclusive to Honors students and to get involved early and often. Sims added that time management is frequently an underdeveloped skill, especially for new freshmen. Next Take a deep breath of… sawdust?